The DrummingSchool creative team is composed of experienced, quality musicians from a diversity of backgrounds and cultures. Alex is a highly versatile musician (primarily a percussionist) from Burkina Faso in West Africa. He grew up hearing music and drumbeat all around him – a part of every day life. He started playing professionally in the 1980’s working with the National Ballet Kouledafourou and the Ensemble des Radios & Televisions of Burkina Faso, based in Bobo-Dioulasso. He also founded his own Fusion band Wountey and toured widely in Africa and Europe with the Ballet and Wountey, taking the message of the Burkina Faso cultural revolution to a wider audience. Alex has collaborated with many musicians throughout his career including traditional Master Griots from Burkina Faso/ Mali /Guinea/Gambia, and well known artists like Ali Farka Toure, Femi Kuti and Salif Keita from Africa. He has played in many different styles from African traditional, Fusion, Jazz, Rock, Latin, Caribbean and even played the London 2012 Olympic Opening and Closing ceremonies. He is an experienced composer and arranger working with his own and others’ music including theatre, dance companies and film productions. For over 18 years, Alex has developed teaching others, in Africa and Europe. 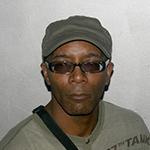 He has lived in London for several years now and has run many workshops for adult learners, in schools and whole music services (Hertfordshire, East Side Education, Core Arts promoting mental health, the Rhythm studio…) He has also run Master classes including top professional musicians and dancers. Alex is experienced in working with a range of different needs, from disabled groups, mothers and toddlers groups, young and older children, through to learners, who he has successfully taken through to performance level. 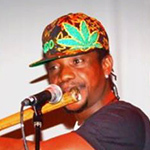 Alai Sanfo is an artist-musician Master drummer from Burkina Faso. He started playing djembe from a early age with his brothers (Surutu – Kunu) and became a member of the company Nekree, travelling around Europe. In 2005 he moved to the south of France (Montpellier) where he was giving different drumming classes at the University of Montpellier. 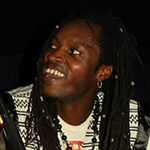 He then decided to continue his music in the United Kingdom where he runs regular djembe workshops, accompanies dance workshops and performs with his own band called “Beoogo Yinga”. He has played with lot of bands and musicians (Baba Mall, Afrique Rehem, Woulaba Niare, Gwana London, Amy Winehouse and Will Smith for the Nelson Mandela Birthday in Hyde Park). He has recorded with many bands including his brother Iro Danka (Iro et ses freres Neecre). He is now a very experienced player and teacher. 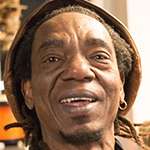 Highly has been studying West African culture for over 30 years and West African music for over 15 years. He is an accomplished international drummer who has taught and performed in several countries’ including Ghana, Gambia, Jamaica, Barbados and Trinidad. He has played alongside several Djembe folas (Djembe Masters) including Gambia, Ghana, Burkina Faso and Nigeria. Highly has a passion for teaching the Djembe to children. He currently uses his musical skills to help maintain the focus and the overall self-development of young people with special needs and those who are at risk of offending. 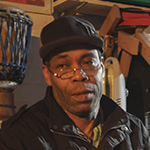 He is also the head drummer of Emashi African Arts and entertainment, a Hackney based group that has been running for over 30 years. Highly’s aim is to keep African traditions alive. 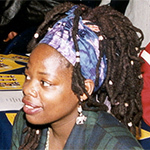 Ngozi Headley-Fulani is a master of African and Caribbean dance. She is the co-founder of Emashi African Dance Ensemble which has been running for over 30 years. She is also a singer, specialising in African and Caribbean traditional songs and a storyteller of tales from both African and Caribbean folklore. She has worked with world class drummer Aaron Highly for over ten years, both playing a major role in the 2012 London Olympics, performing and teaching internationally. She has performed for many dignitaries such as Prince Charles, Ghana High Commissioner, Trinidad and Tobago High Commissioner, Diane Abbott MP. Ngozi is dedicated to promoting positive images of Africa and the Caribbean. Ngozi is British born of Caribbean parentage and African descent. Petra Siekermann grew up and lives in Germany, where she started dancing in the fields of modern and classical dance. She discovered African Dance in 1988 and since this day it is her true passion. This enthusiasm for African Dance brought her to West Africa more than 10 times and to Paris, where she studied with Elsa Wolliaston and others. In Africa, she participated in the traditional dance company FATALA in Gambia. She worked together with Emmanuel Gomado (ODEHE DANCE COMPANY) in Ghana, with Oumar Démé (TROUPE DANKAN) in Burkina Faso and others. Nowadays she is a well known teacher and dancer for different African Dance styles in Germany. Her dance is based on West African Dance, as well as her personal creativity and contemporary compositions. 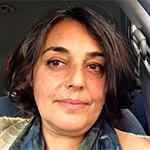 Marta has been studying and playing west african percussion for over 15 years, with several master drummers from Ghana, Guinea, Senegal, Gambia, Mali and Burkina Faso. She plays doun douns, djembe and also the guinean bass bolon. She was formerly trained as a classical piano player, plays bass guitar, and has recently started studying the double bass. 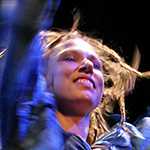 Marta has also been performing with several groups for many years, and more recently has joined master drummer Alex Dayo and his team. Marta has experience running drumming workshops for people with a range of special needs, at schools, community groups and team building events. She is a qualified and registered clinical psychologist, with experience as a therapist, supervisor and manager of mental health projects. She is currently coordinating a project that provides Play and Creative Therapies to children in schools. Gwang, born in Grenada, where he was surrounded by a family of drummers and singers keeping alive local (African) traditional rhythms and songs from their culture. When he came to Britain he became involved in theatre and was a founding member of Third Dimension Theatre Company in Birmingham during which time he began to meet and study with Master drummers from west Africa. For many years, he has collaborated with several different theatre companies working across Britain, combining music, dance, storytelling and writing. He is very experienced in working with all kind of groups including children. His drumming workshops offer a unique and highly original blend of traditional Grenada and African drumming, singing and storytelling. Since then, he is developing these arts, particularly for community organizations. Currently Gwang is working closely with Master Drummer Alex Dayo. His hobbies includes cricket, painting and decorating and reading classical Marvel Comics. 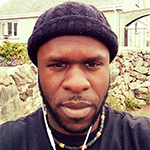 Narcis is an artist, musician from Burkina Faso, West Africa. He started playing percussion on an early age, like many of his drumming brothers and have played with many dance and theatre companies in Burkina Faso. He currently lives in London, continuing his music, working with his borthers from Burkina Faso and also with many London based West African musicians. He has over 20 years of experience within the music business, especially in Africa/Latin percussion. His style is inspired by the music of west Africa and Cuba. For years he was teaching/tutoring in Bolton and also performing in clubs and festivals in Bolton, Manchester, Birmingham and London. These include events were eg. Queen’s Jubilee (Manchester), the Commonwealth Games (Manchester), Reading Festival, Womad Festival and Glastonbury Festival. Most recently he has been doing collaborations with other musicians including Master drummer Alex Dayo who has been fine tuning his performance and as Horace says, “pushes me to the limits”. All members of our team are able to run our school/ after school club activity workshops individually. For larger groups, we advice you to book a minimum of 2 team members.